Brighton Ford : St Patrick's Shamrock Festival: Win a Brighton Ford 2014 Ford Focus or Fiesta! St Patrick's Shamrock Festival: Win a Brighton Ford 2014 Ford Focus or Fiesta! 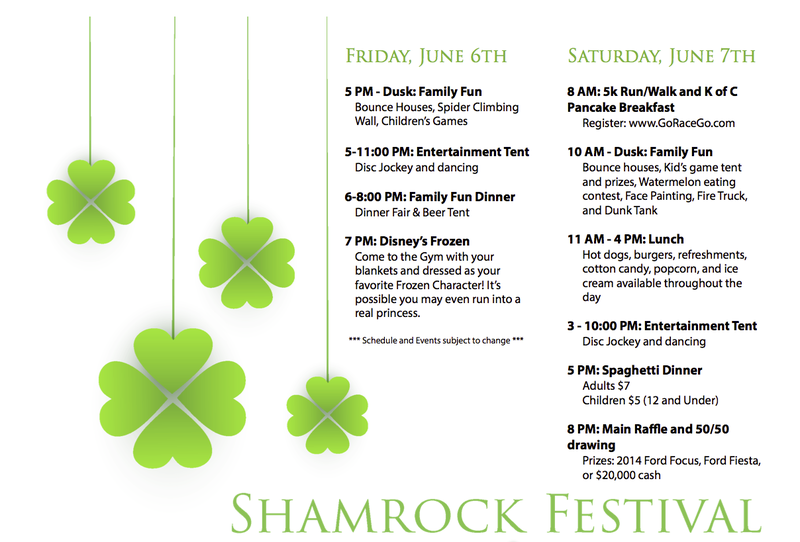 BRIGHTON, Mich - Mark your calendars for next weekend, Friday, June 6th and Saturday, June 7th, for St. Patrick's Shamrock Festival! There will be tons of fun activities for the entire family -dancing, entertainment, bounce houses, games, a dunk tank, face painting, refreshments and much more! Plus, St Pat's will selling raffling tickets for the chance to Win a Brighton Ford 2014 Ford Focus or Fiesta! 2014 Roush Stage 3 Ford Mustang at Brighton Ford! The Brighton Ford Great Escape Summer Sale!